The appropriate emission of air and water discharges from industrial operations requires the expertise of professionals that are skilled, educated, and experienced in new point sources and existing discharges. Whether an existing facility or a new operation, environmental permits might be required for fugitive emissions, storm water runoff, surface water discharges, stack emissions, and a variety of other sources. The permit process can be quite complex. 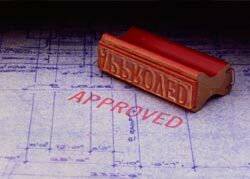 At times, this requires collecting the additional data necessary to assure a fluent and consistent permitting process. Environmental Support Network, Inc. works with your staff, your equipment suppliers, and outside laboratories to produce the information necessary for completion of environmental permits of all types quickly and cost efficiently.